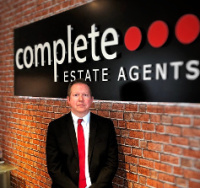 I have been in the industry for over ten years now, from a sales negotiator, to a senior sales negotiator now to a valuer. I love this industry as everyday is so different from registering applicants to agreeing a sale. I really enjoy listing properties and getting my vendors the best price possible. I really enjoy seeing peoples faces when you find them that dream home or once you have sold their property for them. It gives me a real feeling of achievement. I have two children Maddison & Brennan, they keep me on my toes. I have a real passion for football & Rugby and support Coventry for both and always look out for their results and try to get to as many games as I can.